With more states legalizing the use of marijuana for medical and recreational uses, synthetic marijuana products are also becoming more prevalent and popular. These drugs are manmade mind-altering chemicals that are related to the chemicals found in marijuana. Unfortunately, these drugs can have a more powerful effect on a person’s brain than natural marijuana. There is growing concern about how truck drivers use these synthetic drugs and drive their trucks while impaired, killing and injuring innocent motorists. Determine how prevalent the use of synthetic drugs—especially marijuana—is among commercial motor vehicle drivers and develop a plan to reduce their use. 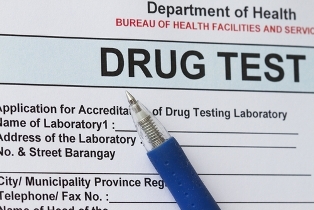 Work with trucking companies and industry organizations to address truck drivers’ use of these substances, which are currently not on the list of the few substances truckers are required to be tested for. Trucking companies need to be able to detect if their drivers are driving under the influence of these dangerous synthetic drugs, which would require drug testing, to prevent these tragic crashes. The NTSB also wants the American Trucking Association to educate their members on the dangers of using synthetic drugs. Unfortunately, truckers’ use of legal medications like opioids also significantly impairs their driving ability and is becoming a serious problem in our country. The bottom line is that truckers’ use of synthetic marijuana, other illegal drugs, and some legal medications causes serious crashes where victims suffer catastrophic injuries and death. Were you or a family member injured in an accident caused by a trucker? Call us at (817) 380-4888 to schedule a free, no-obligation consultation.